Blis is the global leader in advanced location data technology. Our proprietary platform provides businesses with accurate location data and in-depth behavioural insights to serve digital content to audiences that are on the go. Blis is led by an experienced executive and senior management team, focused on delivering market-leading solutions, commercial and operational excellence. We’re backed by some of the most successful investors in digital media. With more than 20 years of investing experience, Charlie manages Beringea, a private equity firm with offices in the U.S. and UK, and is directly involved in identifying, analyzing, making and exiting investments, as well as providing ongoing direction and strategic advice to portfolio companies. Among other activities, he oversees Beringea’s U.S.-based funds, which provide growth capital and/or mezzanine financing to exceptional high growth, high potential businesses. Since the Firm’s founding, Charlie has served on numerous portfolio company boards, and is currently a director at Blis, ELOQUII, All In One Medical and Detroit Institute of Music Education. Charlie has also served on the board of a regionally-targeted fund-of-funds as well as the Michigan Strategic Fund, one of the State’s leading economic development and finance authorities. He graduated from the University of Michigan with a B.B.A. and an MBA. He has chaired fundraising events for Children’s Hospital of Detroit and the University of Michigan, among others. Andrew is a seasoned media practitioner, passionate about delivering innovative marketing solutions for brands. 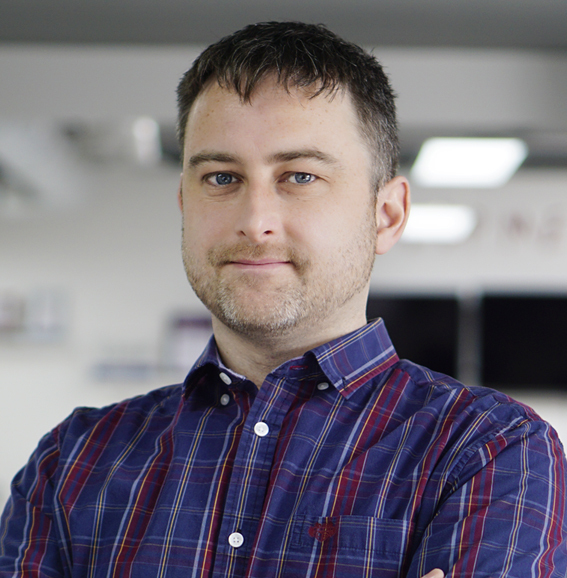 Andrew has broad international experience, working across traditional, digital and programmatic media. As a respected expert in ROI and transparency, Andrew has helped to develop innovative ways of valuing and auditing the media supply chain. Prior to joining Blis, Andrew enjoyed a variety of roles within media, enjoying extensive experiences in publishing, research and technology including roles at WPP, IPG and ITV. Andrew’s previous role was on the client side at Unilever, as a Global Media Director. Andrew was responsible for creating the best value and insights for brand budgets. During his career Andrew has enjoyed working and living in countries such as the UK, South Africa, Switzerland and Ireland. Outside of work Andrew can be found enjoying country life with his family, spending time with his son, gardening, coaching rugby and watching his favourite sports, Rugby, Football and Cricket. Jamie is responsible for leading the US marketing efforts by providing creative market planning and execution that maps to the sales and product strategy. She is responsible for all client and prospect marketing communication in North America and working hand in hand with the US sales team to drive revenue. She has over a decade of experience working in marketing and advertising as well as an extensive adtech background. Most recently, she led the North America marketing strategy for programmatic platform, MediaMath. She graduated with honors and a BA in Marketing and Communications from The George Washington University. Outside of work, Jamie enjoys dining out, binge watching Netflix and taking cardio dance classes. James joined Blis in 2012 and is responsible for the design and implementation of the software that executes Blis' buying and selling strategies. In addition, his day to day job includes keeping Blis' proprietary C++ technology stack up to date with the latest industry standards and products. After graduating from University College Cork, Ireland in 2004 with an MSc in Computer Science, James moved to London. Before joining Blis he also worked for several years creating and perfecting embedded software for the mobile phone industry. Outside of work James enjoys cycling, hiking and the occasional beer. Based in our London HQ, Vic is responsible for our global Human Resource function, leading the implementation of HR infrastructure and processes in support of the company’s rapidly growing global footprint. Vic is a seasoned HR pro with over 8 years experience in building HR teams in growing start ups. Her previous role was at a Business Intelligence company where she was a commercially focused HR generalist, specialising in Recruitment & Performance Management. Highly people orientated, Vic has been instrumental in contributing to Blis’ unique and exciting workplace culture. Outside of HR Vic enjoys gardening, sports and eating. As Head of Production, he is responsible for QA and the smooth running of Blis’s Engineering systems. He joined Blis as a Perl coder when programmatic buying was barely a glint in the CEO’s eye, and has seen the Engineering team grow from 2 to over 20 in that time. As DPO, he ensures that Blis complies with the GDPR and other data protection laws, and that it treats personal data securely and with due regard for privacy. 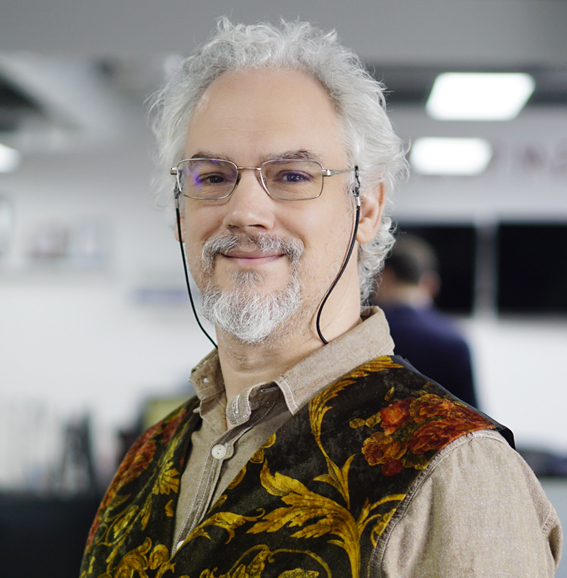 As one of Blis’s longest-standing Engineers, he has contributed code, design work and general know-how throughout the lifetime of Blis’s platform, and has an extensive knowledge of its systems. He is dedicated to ensuring that Blis’s platform is second-to-none, and uses the best technology in the most efficient way. David has an Engineering degree from Cambridge University. In his free time, David enjoys birdwatching, cycling and supporting Leyton Orient. Raj leads the design for the core real-time bidding engine within the Blis platform. Her role demands continuous attention to performance and scalability in a fast-paced and innovative development environment. She has over 16 years of industry experience in designing, developing and supporting large-scale, distributed architectures through her prior roles at IBM Software Labs and Openwave Mobility. Raj is passionate about technology, especially within the mobile industry and has filed a few patents in the area. She has a Bachelor’s degree in Computer Science from Mumbai University. Outside of work, she is a mother to two young children and that makes her a natural at multitasking and resource management. 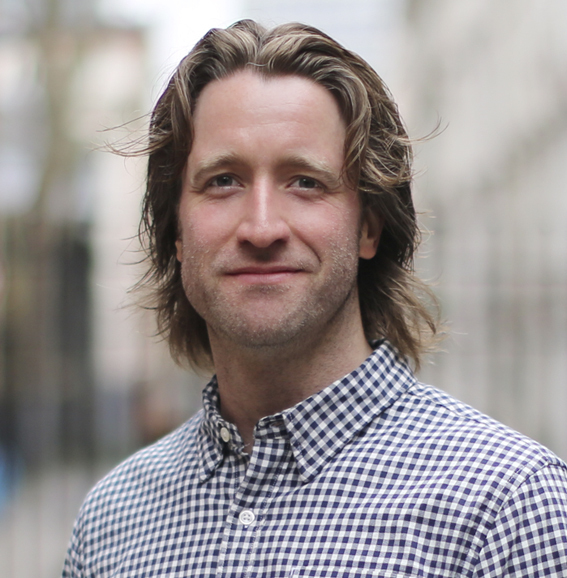 Ian joined Unilever Ventures in 2010 and focuses on digital technology deals. He is a Board director of Voltea and CDDM Tech, and he previously worked on our exit of Rahu Catalytics, as well as UV’s investments in Brandtone, VH2, iluminage, Syneron Beauty and CDDM Tech. Prior to joining Unilever Ventures, Ian was a strategy consultant with L.E.K. in London and Melbourne. He has a PhD in Physical Chemistry from Cambridge University and an MSci in Chemistry from Bristol University. Martijn joined Endeit Capital at the start as Partner in 2006. Today, he is responsible for deals in DACH, UK and the Nordics. Until 2006 he was a member of the Executive Director team of Endemol Group, the world’s largest independent provider of multi-screen content. He joined in 1996. Endemol exited to Telefonica in 2000. In 2004, Martijn acted as Interim Director at mobile game developer/publisher Overloaded (exited to Norwegian telco, Telenor). In early 2005, Martijn became Executive Director at Endemol for International Operations, responsible for managing the worldwide key subsidiaries, especially related to developing new business and new markets. Prior he was heading the M&A activities at Endemol. Martijn gained extensive experience in various M&A transactions until 1996, as consultant of the Dutch M&A boutique Reitsma & Wertheim (Investec). He holds a BA Economics and MsC Business Administration from the Erasmus University – Rotterdam School of Management – The Netherlands. He is Board Member at Chronext (CH/DE, luxury watches platform), TourRadar (AT, multi-day travel tours booking platform) and Gastrofix (DE, online POS for gastronomy). Martijn was previously on the Board at (exited) portfolio companies: Contorion (DE), Unruly (UK), Smartclip (DE), Improve Digital (NL), Spil Games (NL), Advance (NL), CBV (PT) and Accepte/Paylogic (NL). Greg is the Founder and CEO of Blis. He is a location data technology expert who has designed and engineered intelligent demand-side and data management platforms. Greg identified a market opportunity in 2004 to use mobile, wireless technology, and location intelligence as a way of accurately targeting audiences for digital advertisers – Blis emerged as a culmination of these opportunities. In his role as CEO, Greg oversees Blis' global business. This includes the management of technical engineering, product strategy, financial management, talent acquisition and international market expansion. The company has expanded across EMEA and Asia-Pacific markets under his leadership and is currently entering the North American market. 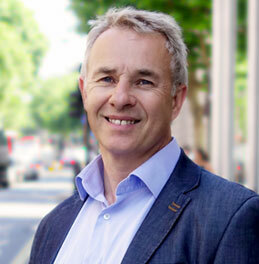 Greg has steered the product development of several patented Blis inventions and has also served as a board member of the Mobile Marketing Association UK. He spends time outside of the office with his family and tinkers with the newest tech devices whenever he gets the chance. Greg holds a Bachelor of Science Degree in Applied Physics from Glasgow Caledonian University. Karen is a Partner and Chief Investment Officer at Beringea responsible for making new investments and working with portfolio companies through to exit. Her investments include BlisMedia, Monica Vinader, Watchfinder, InContext Solutions, Utility Exchange Online, Tossed, and Sealskinz. Harry is President of Blis. He is an adtech veteran and acclaimed entrepreneur. He co-founded adtech company Amobee, which was acquired by SingTel in 2012 for $321 million, and UK mobile ad agency RingRing Media. In his role as President, Harry oversees the development of Blis’ international expansion and global commercial partnerships. Harry has a few medals in his collection – he received the “Rising Star of the Year Award” at the prestigious Media Week Award 2009, and was listed as a Forbes Asia “30 Under 30” Media, Marketing & Advertising Entrepreneur in 2016. He has lived and worked in Europe, the US and Asia. Harry is also a Partner at boutique investment fund Ballpark Ventures LLP. Outside of the office, you can find him mentoring young start-ups or cooking up a storm in the comforts of his kitchen. Parm is responsible for leading and implementing company-wide business programs at Blis to deliver financial and operational benefits. He is an accomplished, commercially astute and hands-on CFO, with leadership experience gained in both blue-chip and PE/VC backed enterprises. With over 15 years’ TMT sector experience in developing and managing all financial aspects of company strategy, Parm has a proven ability to build and lead multi-skilled teams that create sustainable and repeatable financial value. Paul is responsible for leading Blis’ commercial expansion across the global alongside a team of truly talented and inspirational people. 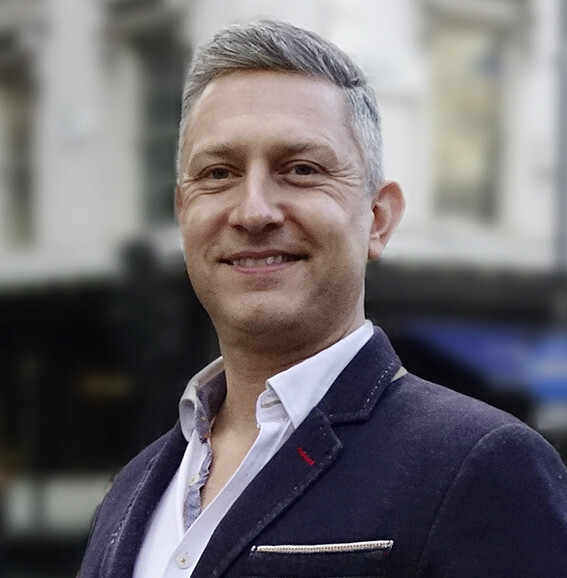 Over the last 25 years Paul’s career has seen him work in roles that cover media agency, media owner, sales, communication planning, digital media, mobile and programmatic. Paul has worked at BBH, Motive, Dentsu Aegis, Publicis, News International and Yahoo! Today Blis has offices in 21 countries selling location data, location insights and location based campaigns to the world’s biggest advertisers. In just 4 years Blis has gone from one office in London to being a world leader in the location advertising technology. Paul has been privileged to work for and learn from some of the best people in the media industry and considers himself incredibly lucky to still be learning everyday. Gil is responsible for driving Blis’ ad sales revenue in the U.S. and has built strategic media and marketing partnerships with leading brands over the past 20 years. Prior to joining Blis, Gil served as Regional Vice President for Thinknear, a location-based mobile competitor in the U.S. Over the course of his career, Gil has worked for both digital media companies such as YuMe as well as professional sports leagues including the National Basketball Association. 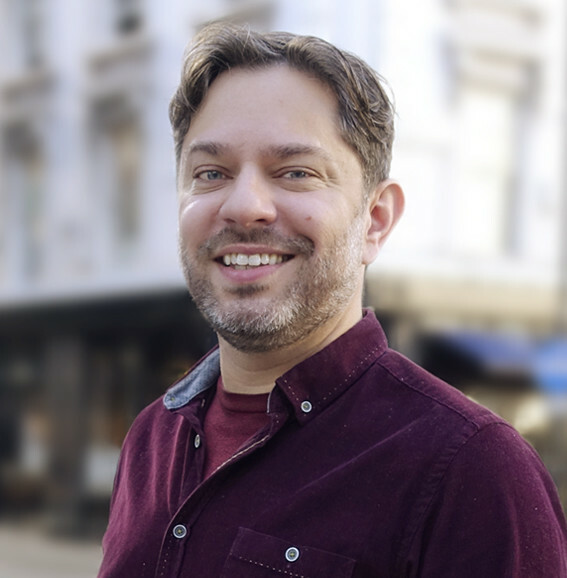 Given his background, Gil’s expertise lies in working collaboratively with both agencies and clients in creating strategic, data-driven marketing and media alliances that help drive the business forward. Outside of work, Gil’s a family man. When he’s not cheering on his son at his travel baseball and soccer games, you can find him at his daughter’s dance recitals and tennis matches. He also enjoys running and recently completed his first New York City Marathon. Charlie is MD, EMEA at Blis. Charlie is responsible for managing commercial relationships and driving revenue growth in the EMEA market. Since joining Blis in 2010 Charlie has grown his team from 3 to 50 and played an integral role developing and launching Blis’ market-leading solutions. Prior to Blis, Charlie co-founded his own multi-media agency at the age of seventeen, running award-winning campaigns for clients including Adidas, MTV and RedBull. After the successful sale of his company, Charlie joined one of the world’s largest digital sports publishers. Nick is an experienced mobile and digital industry leader who has successfully managed regional business operations and client relationships at digital marketing firms in Australia for more than 12 years. Currently Managing Director of Australia and New Zealand at Blis, Nick is focused on expanding the company’s presence in the region by developing existing partnerships and introducing the firm’s location-based intelligence to the market. 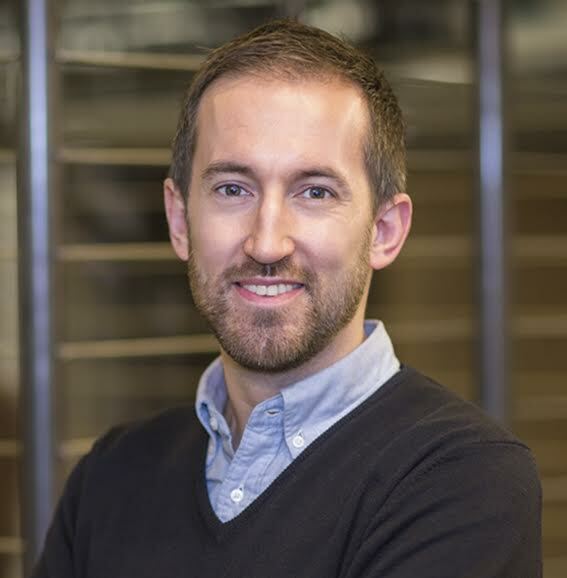 Prior to Blis, Nick oversaw regional business operations as General Manager at Amobee and managed client relationships at mobile innovation firm Digital Turbine (MIA), where he delivered mobile solutions for numerous brands. Outside of work, Nick spends time with his wife and young son - so has now much less time visiting galleries, watching live music or buying art pieces! Still manages going to the Sydney Swans. Richard oversees Blis’ operations across the whole of Asia and is focused on managing the company’s expansion, as well as propelling the sales and operations teams towards continuous profitable growth. His role is aimed at developing existing partnerships to fully utilise the smart audience behavioural insights that Blis generates by tapping into its proprietary location-based data. Richard plans to introduce the firm’s self-serve demand-side platform (DSP) and location-based intelligence to the market. Prior to his appointment at Blis, Richard was the General Manger for Asia at Amobee, a global digital marketing technology company. With over 14 year’s industry experience across multiples geographies and having previously held senior positions at companies like Microsoft & Yahoo!, Richard is an accomplished digital marketer and brings across a wealth of knowledge in sales, ideation, strategy & planning through to execution. Richard Andrew graduated from University of Surrey with a BSC in Business Computing. Pannum is MD, Middle East, Blis. She spearheads regional business development by introducing Blis’ data-driven advertising technology to global, Dubai-based media agencies, servicing brands in the region. 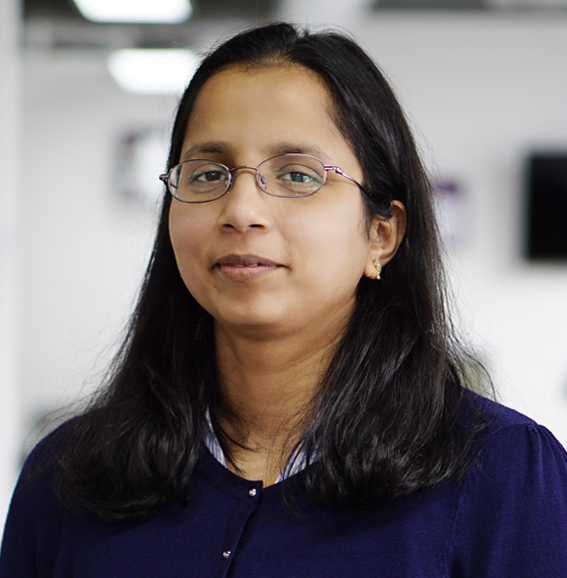 Puja has over 15 years' experience in digital media. She was Group Head AOL Inside Sales Team in the UK, before re-locating to Dubai after being approached by Yahoo Middle East to become UAE Country Manager. Amy is Product Director at Blis and is responsible for high level product strategy and development alongside the release of new revenue streams and products into the market. Amy leads her team to achieve goals, surpass expectations and push boundaries. She is constantly looking for new ways of delivering Blis’ vision: To provide Blis customers with the best technology, the highest levels of innovation and outstanding customer service. As one of the original Blis employees, Amy has grown her career over the last few years from an entry level role in partner relationships through to heading up both Operations and Product sequentially. Her experience working in Operations means than Amy has a thorough understanding of the RTB landscape from all angles; from publishers, SSPs, DSPs through to 3rd party data providers. 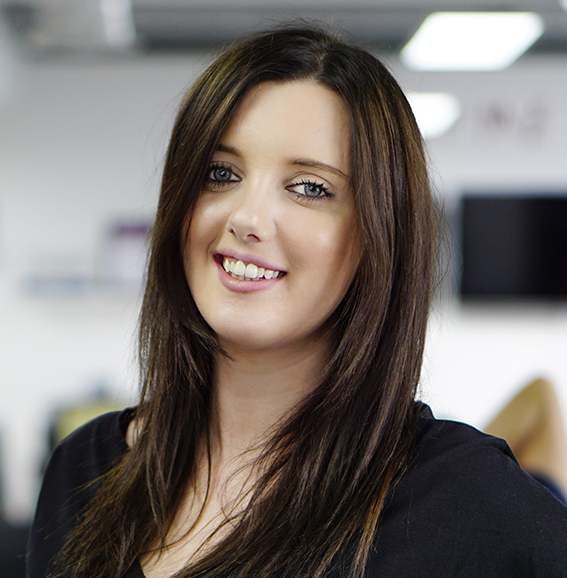 Outside of work, Amy enjoys music, literature, competitive sports and travelling. She graduated from Bath University with an BA in Modern Languages and enjoys any opportunity she has to use them. 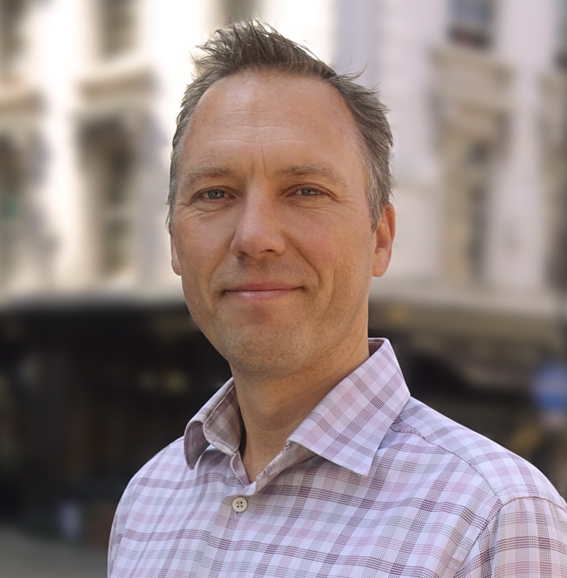 Andy is Blis’ Data Solutions Director, responsible for the commercial development of the company’s proprietary technology to help brands, agencies and media businesses achieve their marketing goals. Andy has been at Blis since 2012 where, in his previous role as Commercial Director, he helped to build the current sales team from 2 to 25 and was responsible for growing revenue for the UK office. Prior to Blis, Andy has had 14 years experience in mobile and digital media, working at companies such as France Telecom and 4th Screen. Outside of work, he has a wife and young daughter and spends the precious little spare time that he has despairing over Arsenal FC. Lara is responsible for the marketing and communications efforts across the EMEA region, leading on the strategic development and execution of marketing initiatives. Lara is also responsible for global product marketing, delivering creative and engaging marketing materials to highlight Blis’ diverse product offering. 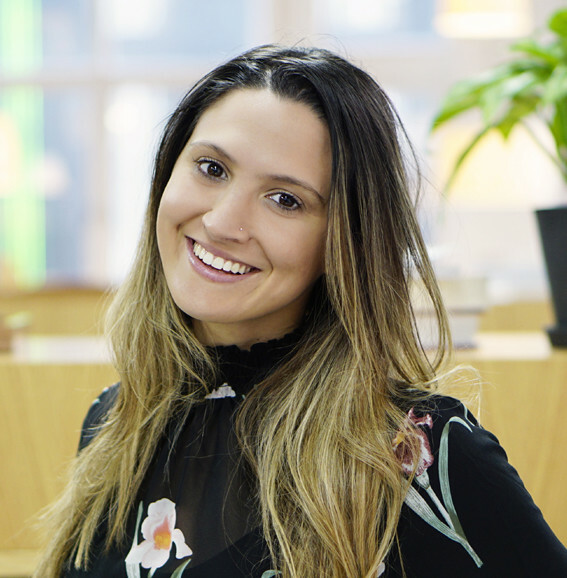 Born in Australia, Lara moved to UK in 2010 where she first entered the world of media and adtech. 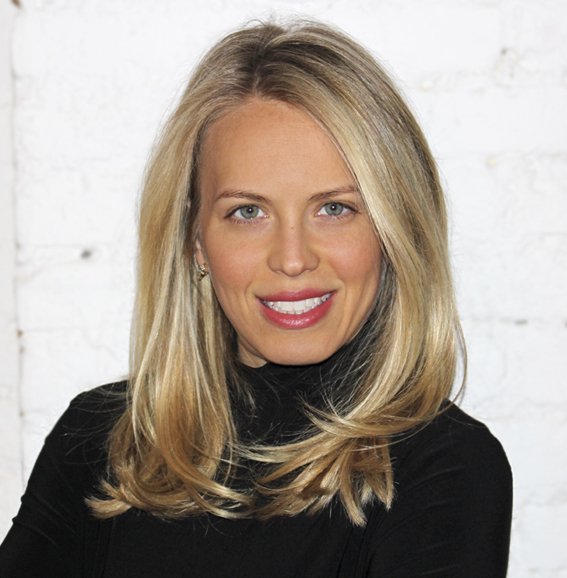 Prior to joining Blis, Lara held marketing positions at Cheetah Mobile and The Weather Channel. Lara has a BA from Curtin University of Technology, Perth, WA in Mass Communications, Public Relations and Journalism with minors in Marketing and Event Management. In her spare time Lara enjoys keeping fit, cheering on her favourite premier league team -Spurs, travelling and spending time with her cats Tikka and Masala. Alex is Head of Insight at Blis, tasked with interpreting our unique data-set and applying it to help address client challenges. Having spent more than a decade working in research and insight roles across a diverse range of media agencies, owners, and publishers, Alex uses this perspective to understand the role mobile location data can play in marketing communications and media planning. Analytics and philosophy are the principle disciplines that underpin his work, ensuring that data is always viewed through a human lens, so that objectively observed patterns can be applied to real-world behaviour. He has little interest in vanity puff-piece research projects and believes that insight is nothing without implication. Outside work, Alex enjoys sport and music, though is a better spectator than participant in both. Murray is the Director of Supply and is responsible for ensuring that Blis accesses quality inventory and audiences for its clients. Murray brings a keen interest in the evolution of digital media to Blis, along with a drive to deliver on the adtech promise. Murray has gained experience from across the media landscape having worked in newspapers, magazines and radio prior to moving to digital media. Within digital he again has gained experience across the supply chain. Firstly as a publisher, running Gumtree’s display revenue line, before leading the Demand teams for a number of SSP’s, including OpenX & Sovrn. Outside of work, Murray enjoys running and teaching his wife and kids all about win/loss ratios and SPO! As CMO, Diane is responsible for overseeing the planning, development, and execution of Blis’ global marketing and advertising initiatives. Diane is an established marketing leader with big brand experience at Microsoft, as well as startup, scaleup and agency-side experience. She is an American who relocated to London over 18 years ago with a startup and has worked primarily with tech and telecoms companies during her London career, which spans Grey London, Wheel (acquired by Digitas/LBi), Microsoft and Unruly, as well as her own virtual agency. While at Microsoft, Diane led UK marketing communications for Windows Phone and later created and ran the Microsoft Ventures Accelerator, graduating nearly 40 startups. She was subsequently the CMO at global startup accelerator MassChallenge. 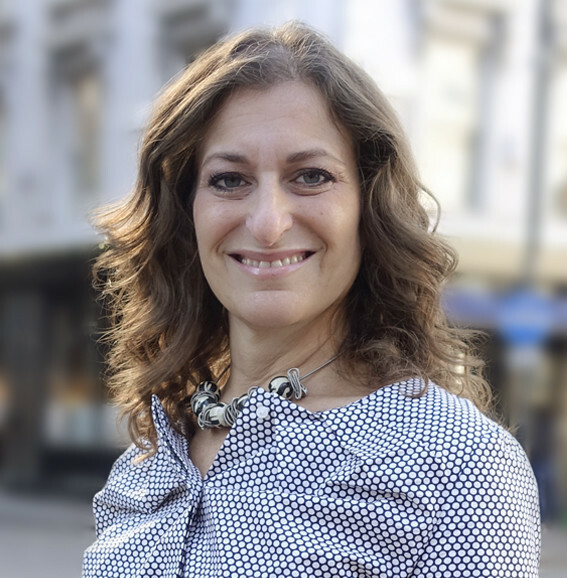 Diane also served as Interim CMO (maternity cover) at leading global video ad tech company Unruly. Aaron McKee is a seasoned technology executive with a history of building products at the intersection of big data and machine learning. With 25 years of professional experience in the technology sector, and almost a decade as an executive, he's helped companies, teams, and products across every stage of maturity and across a range of industries. He helped break web server performance records at Intel and launched the first modern local search product at Ask.com. As CTO of Struq, a performance advertising technology company later acquired by Quantcast, he was one of the first to bring a deep use of machine learning to dynamic content personalization and programmatic advertising. Aaron has also served as CTO of both Skimlinks and Job Today, both sector-leading consumer and business-facing marketplace companies. Outside of work, Aaron spends as much free time as possible with his family - a wife and two young sons - traveling, eating, and generally being a nerd. He graduated with distinction from the University of California, Berkeley with a dual degree in Computer Science and Psychology and has split his career across both Silicon Valley and Europe. Ben is responsible for managing and developing the global strategic accounts team at Blis, enhancing new products, services and solutions that solve challenges for brands & agencies. During the past 16 years of his career, Ben has focussed purely on the mobile ecosystem, from creative platforms and technology through to creating mobile strategies for global brands and qualifying both in and out new ways of working. Ben’s extensive industry knowledge and experience has provided him with a clear understanding of the challenges faced by brands in today’s rapidly changing world of advertising and marketing and with the ability to provide actionable solutions to meet the business objectives. Ben joins Blis during a period of rapid growth for both the company and the industry and looks forward to contributing to the ongoing success of the company. Dave is responsible for driving global revenues, and delivering the required revenue mix at Blis. A veteran of the media and advertising industry, Dave has a successful 35 year track record. 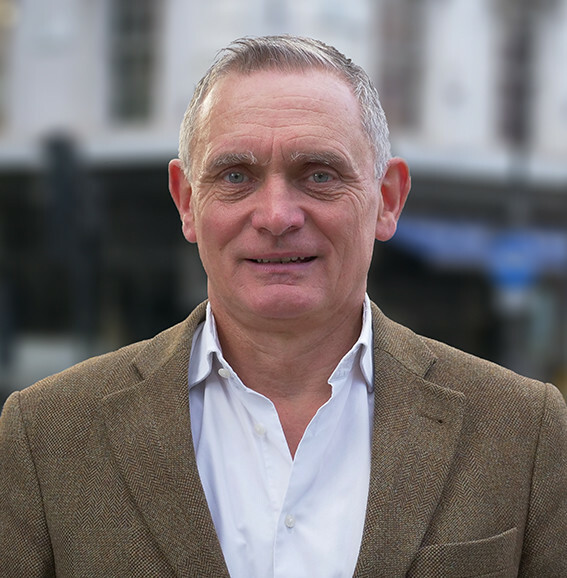 Most recently he was MD of Exterion Media, the second largest OOH media operator, where he was in charge of a £300M turnover and 440 employees. Previous to this he spearheaded the commercial side of the Telegraph Group for 12 years as Executive Director, was MD of Emap Advertising and headed up investments for Carat where he deployed million of dollars worth of client billings across the media mix. Outside of work Dave is busy with his family and they all share a keen interest in sport - football, tennis, cricket, skiing and golf - all at varied levels of competency! He was fortunate to be selected by his employers to attend senior executive programmes at both Harvard and Stanford and also, made a brief appearance on BBC’s the Apprentice TV show as an industry expert. please contact the relevant regional PR team below.